Professional grade 3D printers and accessories for industry and education. Not your average 3D printer. NOT YOUR AVERAGE 3D PRINTER! Built-in 64bit Windows PC controlling the printer, and allowing in system CAD design. Prints with a wide variety of engineering materials beyond PLA. Specially processed glass build surface for good bed adhesion and easy part removal. 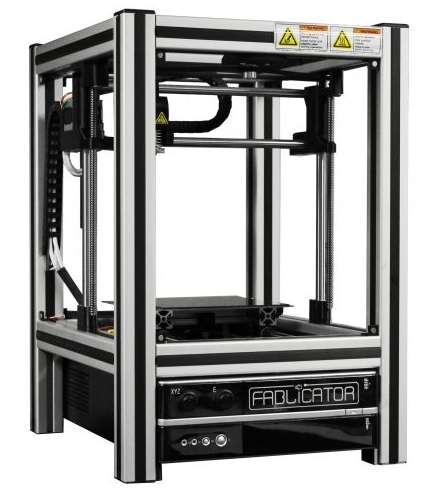 The Fablicator is a brand new 3D printer design, unlike any other FDM printer on the market. It is an extremely accurate, solid, and versatile rapid prototype machine! 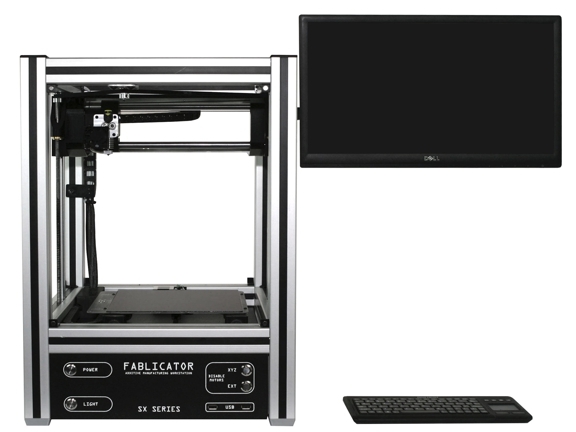 The Fablicator has been designed to be a professional desktop 3D printer which meets the needs of designers, engineers and inventors alike. Our printers are shipped fully assembled and calibrated. Also, all the necessary interface software is preloaded, so it can start printing right out of the box. - making it a truly a complete turn-key 3D prototype solution for your school, office, laboratory, or factory. The Fablicator MX is unlike any other 3D Printer on the market. It is a complete 3D Printing Workstation, capable of designing (when CAD is installed), slicing and printing 3D models without needing a separate computer. It is a complete 3D printing solution for schools, offices, laboratories and factories alike. The MX ships completely assembled, tested and calibrated. It is ready to make fast, accurate parts right out of the box. 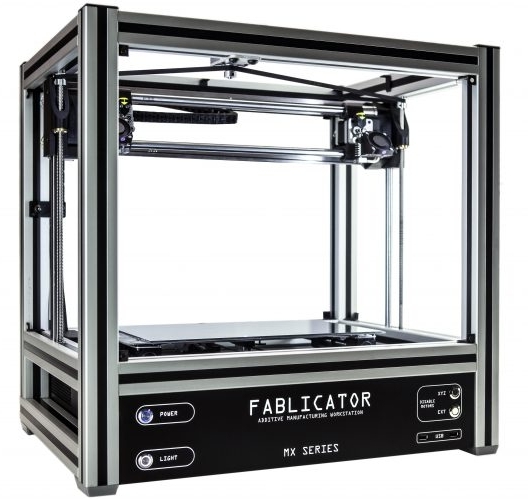 The Fablicator MX features a unique independent dual extruder system, capable of making parts using different materials or support materials, while maintaining exceptional part quality. Print with two different colors. Only use one extruder to print a single material part. Largest build area and extremely simple settings selection.